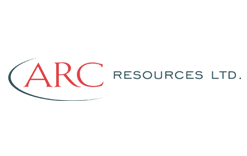 Home Canada Oil and Gas Oil and Gas Jobs in Canada - ARC Resources Ltd.
Oil and Gas Jobs in Canada - ARC Resources Ltd.
ARC is one of Canada’s leading conventional oil and gas companies. Our operations are focused in five core areas across western Canada, and provide us with an extensive resource base of high quality oil and natural gas development opportunities. Founded in 1996, ARC has a long history of expertise and providing superior long-term returns to shareholders. Since day one, our vision has been to be a leading oil and gas producer as measured by quality of assets, management expertise and long-term returns; to achieve this we have focused on what we call ‘risk managed value creation’. To us, this means viewing growth as an option rather than a mandate, operating with capital discipline and maintaining a strong balance sheet and financial flexibility.